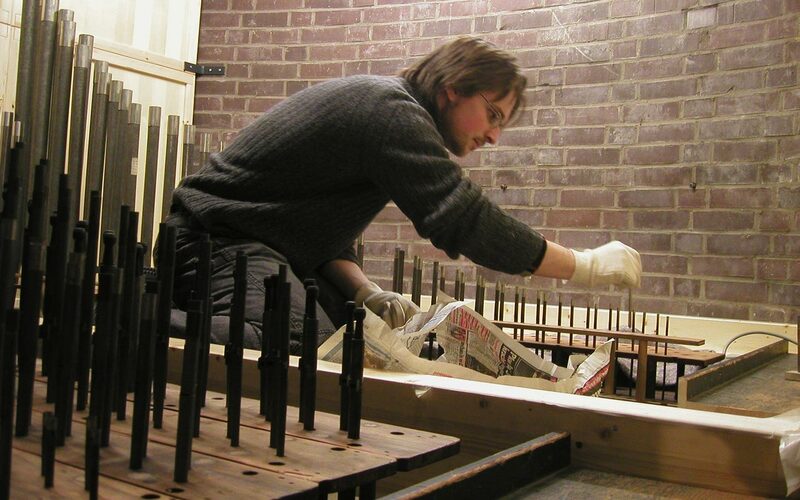 Orgelbau Schulte – Organs from the Bergisch Land, master builders for over 30 years. Founded in 1978 by Siegfried Schulte, Orgelbau Schulte quickly made a name for quality in the Rheinland, as a result of the many new constructions built during this period of company growth. The temporary highlight in the “St. Joseph” in Cologne-Porz with 43 stops was without a doubt the magnum opus. After restoring one of the first organs belonging to the Joh. Klais company from Bonn (1887, op 9. now in Euskirchen-Kleinbüllesheim), Orgelbau Schulte was able to establish a reputation in the professional restoration of historical instruments. Since 2006, Orgelbau Schulte has been run by Oliver Schulte, an organ building master with a Masters in Business Administration. His first significant work was, in fact, the Binns-Schulte organ. This was an additional reason why all measures were taken to ensure that this organ became a milestone of the company as well as an exceptional instrument for the organ scene in the rhineland and beyond! Today the import, restoration and rebuild of english and american organs is the main field of work of company Schulte being known as a specialist in these matters throughout Germany and abroad.